Written world will be always more valuable than anything else. And what is better than a book as a souvenir from Belgrade? You can choose several options – books written in Serbian (for people who like harder way) or best sellers or novels by Serbian famous writers – translated in English. Whichever option you choose, you want regret it. On almost every corner, you will find a bookstore in Belgrade. 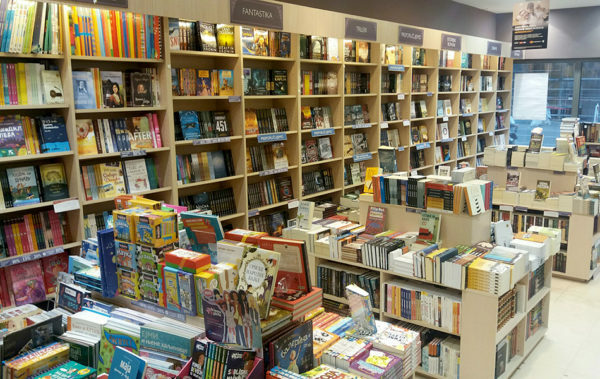 There are several chain bookstores, but on the other hand, there are also independent and quality bookstores as well. Vulkan bookstore chain was created in June 2010 under the slogan “Eruption of Ideas”. Launched by two prominent Belgrade publisher “Mono i Manjana ” & ” Laguna “, who later joined the Vulcan Publishing. In Belgrade there are 11 of total 23 Vulkan Stores (Locations: Belgrade Cultural Center, Shopping Center Delta City, TC Merkator, SC Stadium Vozdovac, RK Zvezda Zemun, Sremska 2, Bulevar Tašmajdan, Bulevar City Store, SC Big Fashion, Beteks Centar) . The remaining twelve bookstores are located across Serbia. In Nis, Novi Sad, Zrenjanin, Cacak, Kragujevac, Sabac, Uzice and Pancevo. The basic offer are books of local publishers. 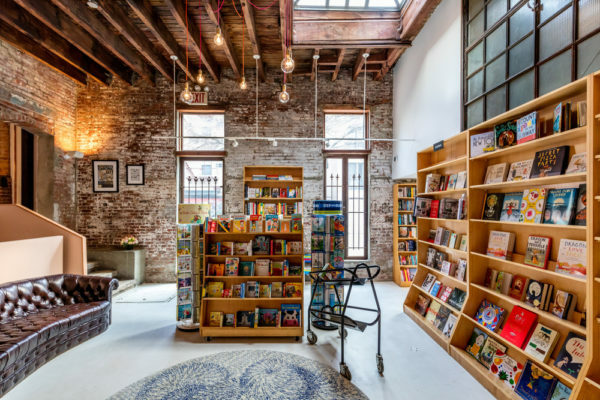 Their idea is that readers can find everything in one place, and to offer them a quality selection. You can choose fiction, literature, popular science, art, encyclopedic editions, children’s books, science fiction and epic fiction, anything you want to read depending on your affinities. What makes Vulkan different is a great selection of books in foreign languages in the field of architecture, design, art, graphic design. It allows you to find a large number of world hits that have not yet been translated into Serbian. In Vulkan you can find a rich gift program, as well as paper accessories, a wide selection of office supplies, and music publications. Laguna publishing house was founded in April 1998. From humble beginnings with several published titles, over the years they become leader in publishing, with the production of over three hundred titles published annually and is one of the largest publishing houses not only in the country but in the entire region. They launched an edition “Meridian” in which they publish the most important contemporary local authors. In this edition can be found some of the biggest names in contemporary Serbian literature: Filip David, Igor Marojevic, Ljubica Arsic Nikola Malovic, Dejan Stojiljkovic, Dusan Velickovic, Mirjana Djurdjevic, Zvonko Karanovic and many other great authors. Laguna has been operating successfully for more than 15 years and its reputation as a leader in publishing is build on proven values, which is consistent since its inception. During long-term business interests of the publishing house are inextricably intertwined with the interests of the people and the communities. 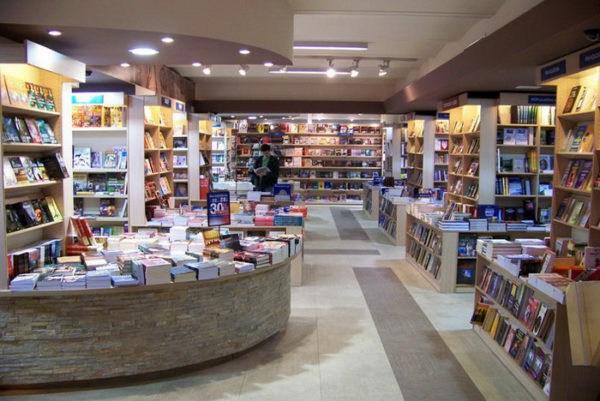 Bookstore chain, Delphi has thirty nine bookstores, as well as the largest online shop in the region. Offers an alternative to existing domestic standards, allowing to all book lovers to reach latest headlines, world hits and copies that are currently only in the Delphi bookstore chains in no time. Delfi offers more than 50,000 titles of domestic and foreign publishers, gift program, multimedia and games. Delphi is built on the foundations of social responsibility, and their business is focused in that direction. In addition to numerous cultural events in Delphi bookstores often you can meet those who create books. In this way they allow fans to talk with writers and share experiences. In their online store you can see and buy tens of thousands of different types of items: books, movies, games, music CDs … News section will show you firsthand the latest news from the culture of the country and the world. Plato was established in 1989 as an academic bookstore and publishing house. During the turbulent historical and political times in our country, Plato, its existence – the concept and operation – managed to establish itself as the only refuge of culture, intellect, art and science. In addition to the bookstore with its jazz club became the most important cultural center of the city. Plato, in the early years of beginning developed publishing activities. It was, at that time primarily focused on the philosophical literature. Thus, philosophical edition “on the trail” has become the most renowned and the most complete edition in philosophical area, unsurpassed to this day. Magellan Bookshop is second-hand bookshop based in center of Belgrade, Serbia. It is probably the only second-hand bookshop selling titles in English language continuously in this part of the world. It has great selection of books, in Serbian and English, especially in areas of: biography, travel & exploration, classics fiction, literary criticism, art, religion, philosophy, psychology and history.